KINGSTON; Jamaica; Multi-platinum, Grammy Award winning artiste Sean Paul is still hitting firsts after more than two decades in the industry as he announces the release of his first ever Extended Play (EP) EP Mad Love The Prequel which hits the market this Friday, June 29. "Mad Love The Prequel was put together with a flow of tunes that create a certain vibe; partying, love, relationships, me and the girls," Sean Paul shares lightheartedly. 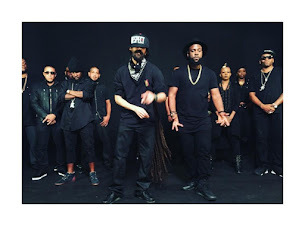 The nine-track EP speaks greatly to the appeal and reach of Sean Paul's music over the years as he collaborates with other international artistes such as English singer Ellie Goulding, famously known for the 50 Shades of Grey theme song Love Me Like You Do, The Worst singer Jhene Aiko, and Hurtin Me rapper Stefflon Don, among others. Major Lazer, had only great things to say about Sean Paul, having worked with him, once again, for their Tip Pon It collab which is featured on the EP: "Sean's been killing it for 20 years. Some of the most iconic Major Lazer songs are ones we made with him. Glad we got to be part of his movement." Sean Paul can next be seen at the Amalie Arena in Tampa, United States on the day of his Mad Love The Prequel release: Friday, June 29. Click here to listen Feels Like Home by Sigala, ft Sean Paul, Fuse ODG, Kent Jones. Listen to MAD LOVE featuring David Guetta and Becky G.
For further information contact media@headlinejamaica.com or 876.754.1526.